Avolon lifts profits 30%, prices $1.1 billion notes, puts focus on investment grade status this year. 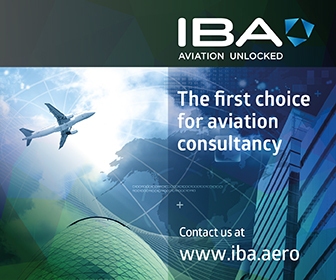 Commercial aircraft lessors are used to working in multiple jurisdictions, locating personnel in and booking aircraft through ones that deliver optimum benefits to their clients. With much of the future growth in demand for aircraft expected to come from Asia, financial centres such as Singapore and Hong Kong are keen to expand their levels of activity. But Ireland, which has developed a strong aviation finance ecosystem, is keen to ensure it maintains its attractions, particularly as an HQ location for one of the most internationally mobile of businesses. One of the ways it is doing this is through the establishment of a new local trade body, Aircraft Leasing Ireland. A continuing wave of international changes in taxation and substance requirements means that the way things have been done in the past is not necessarily the way they can be done in the future, speakers said at the Aviation Finance Conference 2018, at Dublin Castle. In a scene-setting discussion of the agenda for 2019, Ireland’s aircraft industry leaders displayed a commanding grasp of the outlook, but were cogniscant of the threats to the sector’s prosperity. Established in open competition with the rest of the world, the Irish-based International Registry of Mobile Assets has proved a resounding success. 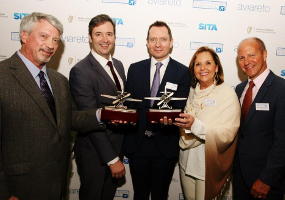 With one million registrations recorded since 2006 the company which runs it, Aviareto, a joint venture involving the Irish State, has just had its contract renewed for a further five years, on the back of a second year of 8 p.c. growth. 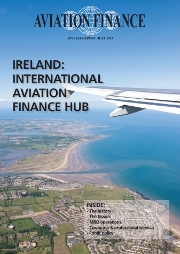 Our Special Report examines one of the most interesting jurisdictions in the world as a centre of aircraft financing - the Republic of Ireland. Its significance lies in its scale in the global financing of aviation, second only to the United States in aircraft leasing and trading activity. In the past year, it is estimated that financing of the order of $20 billion has been undertaken through Ireland, mostly through the channel of its aircraft leasing companies. This equates to over 20 p.c. of total aircraft financing undertaken in 2012. Our survey covers the players, the extensive corporate and aviation services industry that exists in Ireland, as well as the fiscal, regulatory, and financial structures that are available to some of the most innovative financing and structuring companies in the world. See our Special Report here. Stellwagen Group, the Irish transportation financing company that incorporates Aviation Finance Company and Seraph Aviation Management is setting up a new aircraft funding arm that will offer an alternative funding model to airlines. It plans to raise $1 billion in listed Loan Notes in Q4 of this year, and a further $4 billion in its first three years. 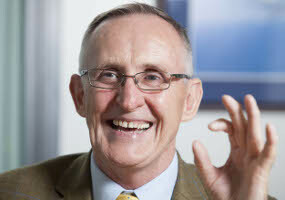 CEO of newly created 'StellCap', Howard Millar, former CFO of Ryanair, described the plan as an 'operating lease killer', in an interview with Aviation Finance. Established in 2005, FPG Amentum is one of the leading independent service providers to the aviation investment community. With a portfolio under management in excess of $2 billion, FPG Amentum works with a diverse group of investors including US private equity, European financial institutions and Japanese tax investors. The company has undergone a transition in terms of its ownership including the recent addition of Nord/LB as a shareholder, however it remains true to its philosophy of managing aircraft on behalf of third parties. 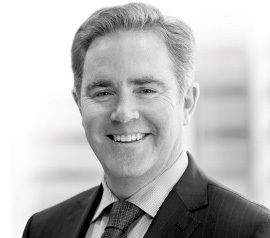 Mitchel Simpson, CFO speaks with Aviation Finance's Dustin O’Neill about this latest development and the FPG Amentum business model. 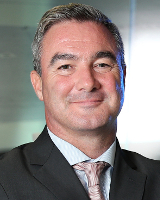 'The list of aircraft lessor platforms currently in play has never been longer, so I think that it is almost inevitable that we will see further M&A moves over the course of 2016' says Domhnal Slattery, CEO of Avolon in this in-depth interview with Aviation Finance Contributing Editor Joe Gill. Slattery talks about the lessor's recent takeover by Bohai Leasing, the more globalised aircraft financing landscape, protectionism and the inevitable 'tidying up' of the industry through a wave of M&A activity. Suzanne Hannon looks at recent changes to Irish law and their affect on Irish SPVs, how the changes interact with Irish tax and corporate law and what it means for aircraft lessors. 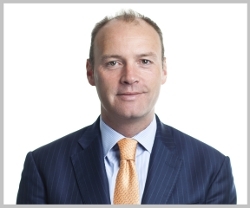 Interview with Aengus Kelly, CEO of AerCap NV on the quoted lessor's audacious corporate action to acquire ILFC announced last month, and which is expected to close in the middle of Q2, with Aviation Finance's editor Ken O'Brien, and Joe Gill, contributing editor. One of the most innovative engine securitisations since the credit crisis of 2007-8 has been the US$250 million Fan Engine Securitization notes issued on 31 October 2013, which kickstarted a securitisation that had been abandoned in the poor market conditions of 2008. 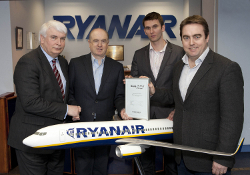 Ryanair secured a highly valued BBB+ rating from S+P in the agency’s first formal review of the company. With a S+P rating that is above those of Lufthansa, BA and Southwest Airlines, Ryanair is currently the most highly valued airline globally by S+P. JOE GILL examines the implications for the company, which would need another rating to facilitate an offering. Ryanair raises Ex-Im finance at record low spread of 1.73 p.c. Aviation Capital Group and Ryanair have just issued Ex-Im backed bonds at historically low spreads. LCC Ryanair firstly showed its debt markets prowess by issuing bonds at a new low rate on September 6th and then this week Newport Beach-based lessor ACG went even lower. 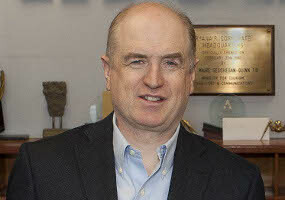 Both the low spreads and the oversubscription that both issuances of the pre funded notes (PFNs) met (respectively 3 and 4.7 times), shows the success of a product that provides an enhanced return over US Treasurys, with the backing of the United States Government - a 'nobrainer' that Ryanair, ACG, and earlier, Lan Airlines were happy to exploit. A deal announced by the lessor Avolon and US West Coast-based financial services group Wells Fargo in January furthers the debate about optimal structures for investors in air finance. 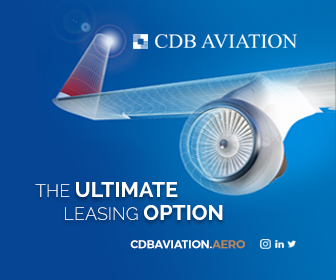 Aside from its innovative company format the joint venture, Avolon Capital Partners, also underlines the evolution of asset management as a core competency within the aircraft leasing industry. 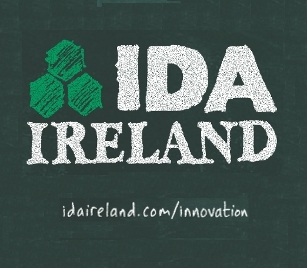 Since February 2011, Ireland has seen rapid growth in the use of “Section 110 Companies” for aircraft finance and leasing structures. WILLIAM FOGARTY and DAVID MAUGHAN of Maples summarise the key features of the new vehicles and reflect on a number of practice points which have emerged. The vehicles offer new options for the direct holding of plant and machinery, including aircraft and engines. 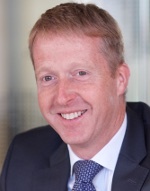 The ECJ's release of the legal opinion of the Advocate General is welcome news for the aviation leasing sector as it maintains the 'look through' exemption that means that the supply of aircraft to companies who do not operate the aircraft themselves should not be liable to VAT, according to Ernst and Young's Brian Keenan. 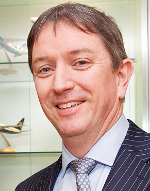 'A combination of the flexible asset depreciation rules and the low corporate tax rate allied to Ireland's very attractive international tax treaties continues to give Dublin a leading edge over other global locations,' says COLM BARRINGTON, CEO of Fly Leasing, on Ireland's attractiveness as a domicile for global aircraft leasing businesses. Barrington recently outlined to Aviation Finance the strengths of the jurisdiction. The gathering of over 3,000 aviation finance executives in Dublin in January 2019 has underlined the dynamism that continues to course through the sector while also re-enforcing Ireland's position as a global leading jurisdicton in the sector, writes JOE GILL, Contributing Editor, Aviation Finance. Established in 1993, GECAS sits at the heart of the global aircraft leasing universe. 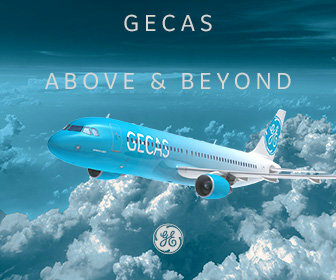 Its longevity, scale and reach, with a fleet of ~1,450 aircraft, have seen GECAS grow into a key player in the wider aviation industry. In contrast to more focussed leasing platforms (often backed by private equity or Chinese financial institutions/conglomerates) that have been established over the past five years GECAS operates a model which covers a wide arc of the commercial aviation leasing sector. Sean Flannery, EVP Technical and General Manager for GECAS sat down with Aviation Finance editors Joe Gill and Ken O'Brien late last month to talk about the global lessor's 'cradle to grave' business model, the current state of the aircraft leasing market, new technology aircraft and its plans to scale its business. Aviation Finance speaks with Aergo CEO Fred Browne and COO Gerry Power on the aircraft leasing company's transformation from a privately-owned company focussed on trading mid-life narrow body aircraft to a fully-fledged operating lease platform. 'It's certainly true there is a whole swathe of people getting into the leasing business who have never seen a recession and who may not appreciate the extent to which you should get paid for the risk that you are taking. It’s all to do with asset and credit risk. Certainly we are getting paid for the risk in our portfolio but we can see people taking low lease rates that simply don’t reflect the risk that is inherent in this business. I don’t care what anyone says, you would be a fool to think it’s not a risky business anymore'. The CEOs and top decisionmakers representing more than half the world's leased fleet of commercial aircraft fleet were in attendance as speakers at this publication's annual conference, AFC 2018, in Dublin Castle, Ireland yesterday, (October 3rd). The overarching theme was the long-term future for air finance but a set of interviews and panel discussions revealed a wealth of insights about what to expect in 2019 in a programme covering aircraft leasing business, aircraft trading, OEM issues, including an interview with Embraer's John Slattery, airline, support and advisory. 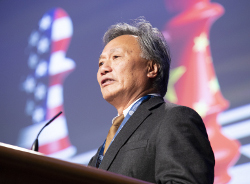 (Pictured: above, Peter Chang, President and CEO of CDB Aviation speaking at yesterday's conference). 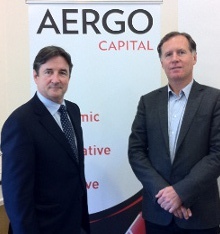 Aviation Finance's Joe Gill speaks with AerCap CEO Aengus Kelly on China, oil prices and new technology narrowbody aircraft. Kelly says the market for both used and new aircraft is solid as oil prices boost the profitability of older aircraft and airline focus on the long term benefits is driving the demand for fuel efficient equipment. On the finance side Kelly says that debt providers remain very supportive of aircraft assets, both in terms of financing and trading and that aircraft financing remains very attractive to investors. The securitisation was Avolon’s first ABS and marks its entry into the public debt markets. The transaction generated significant interest in the asset class from structured product investors. SPEs used in debt finance deal in 2008 were recycled for use in a securitisation transaction. The first public rated aircraft securitisation since 2008, Emerald Aviation Finance Limited, highlights the sophisticated capital that is being attracted to the aviation sector say Laurence Hanley and Nollaig Murphy as investors seek the strong risk-adjusted returns that are achievable from the asset class. They discuss the structure of the transaction, and analyse some of the developments that are influencing the use of capital markets funding in the aviation sector. After a dip during the financial crisis of 2007-2010, there was a recovery in the use of Sukuk as an alternative source of funding for companies in the aircraft leasing sector. This article examines a growing interest in Ireland and some key tax issues that need to be addressed in structuring these investment propositions. Sukuk represent the Islamic equivalent of conventional bonds that can be issued to raise funding and allows financial institutions and similar entities to invest in companies in a manner that is Shariah-compliant. The use of Sukuk investment instruments have seen steady growth in recent years and levels of issuance returned to pre crisis levels in 2010 after a dip in 2008 and 2009, with over US$45 billion of Sukuk issuance in 2010 alone. Ryanair's $194.3 million Ex-Im Bank guaranteed pre-funded note, has been awarded the Debt Securities Deal of the Year by Aviation Finance's sister publication Finance Dublin. The sale of the pre-funded notes backed by the US Export-Import Bank on September 6th 2012 were sold for 1.741 per cent. The notes, due in 2024 were to fund seven Boeing 737s and was the lowest spread for a bond guaranteed by the Export-Import Bank of the United States ever. The transaction was more than three times oversubscribed. The cheap capital attained is a testament to the strength of Ryanair's reputation. The airline took advantage of low interest rate conditions and got the lowest spread to mid-swaps of any previous airline with this deal. Irelandia-backed airline Viva Colombia, launched in May, is garnering a positive reception from the market at large. It is Colombia's first low cost carrier and emulates the low cost model of other successful airlines that are proving their resilience despite the challenging market conditions facing airlines. A $300 million investment in Avolon by Singapore’s sovereign wealth fund in 2011 represented a major endorsement of the firm and the Irish aviation industry by a globally recognised investor, according to the citation received by Avolon for the deal, its second major recognition for the equity raising deal. 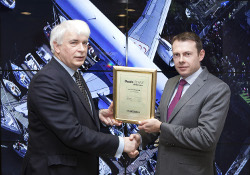 Finance Dublin, a sister publication of Aviation Finance, awarded it its Private Mergers and Acquisitions Deal of the Year Award 2012, as recognition of the most notable such deal in Ireland in 2011. ICBC Leasing, the leasing arm of the Industrial and Commercial Bank of China Ltd, the world’s largest bank in terms of profit and market capitalisation, is leading the international thrust of China's aircraft leasing industry, and is already making waves, for example pricing the purchase of 48 aircraft from Airbus in yuan last August. It has established its first aircraft leasing hub outside of China, in Ireland, and, following the recent signing of an MOU between the company and the Irish Government in Beijing, is planning to use the platform for future growth. Alex Hou, deputy general manager of ICBC International Leasing, spoke exclusively to Aviation Finance about its plans. October 30th-31st: Preview analyses of quoted aircraft lessors, due to release results this week, conclude that recent stock market weakness in the stocks should be set against continued strong fundamentals with Evercore and Wells Fargo Securities issuing Buy/Hold/Outperform recommendations for most of the stocks covered. Ireland’s supportive environment is one of a number of critical factors in maintaining its place as a world leader in the aircraft leasing space. In particular, many of Ireland’s domestic tax laws give rise to low effective tax rates and allow for efficient repatriation of profits to stakeholders.